The United Kingdom’s 2019 Queen Elizabeth Prize for Engineering has been awarded to the creators of the U.S. Global Positioning System (GPS). Four engineers — Dr. Bradford Parkinson, Professor James Spilker, Hugo FrueHauf and Richard Schwartz — were honored for creating the first truly global, satellite-based positioning system. 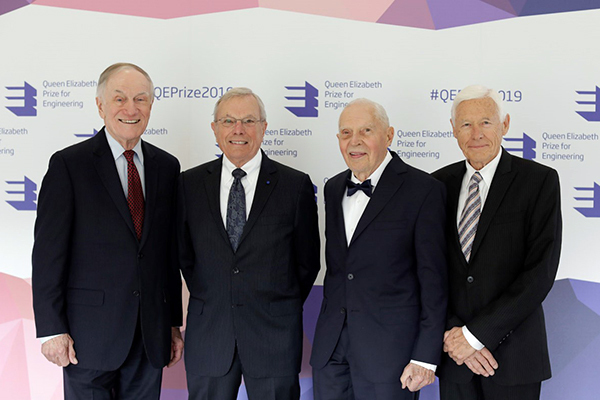 The QEPrize is a prestigious worldwide engineering accolade, a £1 million prize that celebrates the global impact of engineering innovation on humanity. The 2019 winners were announced Feb. 12 by Lord Browne of Madingley, chairman of the Queen Elizabeth Prize for Engineering Foundation, in the presence of HRH The Princess Royal (Princess Anne) in London. 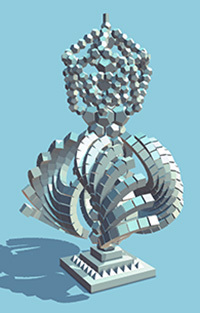 The four winners will be formally honored at a ceremony later this year; they will receive the £1 million prize and an iconic trophy designed by the 2019 Create the Trophy competition winner, 16 year-old Jack Jiang from Hong Kong. An estimated four billion people use GPS, and its annual economic value has been estimated to be $80 billion for the U.S. alone. Its applications range from navigation and disaster relief through to climate monitoring systems, banking systems, and the foundation of tomorrow’s transport, agriculture and industry. The chief architect, Bradford Parkinson, is often called the “father of GPS” after successfully building upon several separate systems to create the current GPS design. Parkinson directed the program and led the development, design, and testing of its key components. Parkinson insisted that GPS needed to be intuitive and inexpensive, which later made navigation accessible to billions. In 2016, Parkinson was honored with the Marconi Prize. To learn more about his achievements and how GPS began, read this article. To realize the project, Parkinson recruited James Spilker to design the signal that the satellites broadcast. 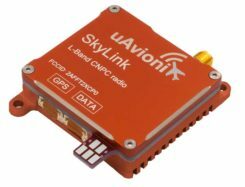 This type of ranging signal is critical to the success of GPS for civilian use; it is resistant to jamming, precise, and allows multiple satellites to broadcast on the same frequency without interfering with each other. Spilker’s team also developed and built the first receiver to process the GPS satellite signals; his delay-locked loop process, used for tracking code division multiple access (CDMA) signals, is essential to GPS accuracy. GPS receivers rely on accurate timing information, broadcasted from satellites, to determine their position on earth. Each satellite uses multiple atomic clocks — accurate to within billions of a second — to ensure consistent timing. Hugo Freuhauf, then chief engineer at Rockwell Industries, led the development of a miniaturized, radiation-hardened atomic clock — the heart of the GPS satellite. 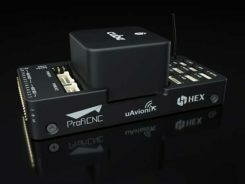 Its accuracy is the backbone of communications systems, power grids, financial networks and other critical infrastructure. For the GPS program to be affordable, each satellite had to be long-lived. Richard Schwartz, the program manager at Rockwell during the development of these satellites, was tasked with ensuring a three-year life span. His design was resistant to the intense radiation from the upper Van Allen belt, and it also lasted for more than nine years. “One of the most important things we had when the project started was a vision of world impact. Without that inspiration, it would have been difficult for us to weather the storms of doing something for the first time,” Parkinson said. 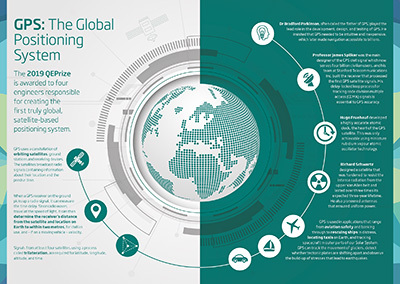 An infographic by the QEPrize organization explains the history of GPS.